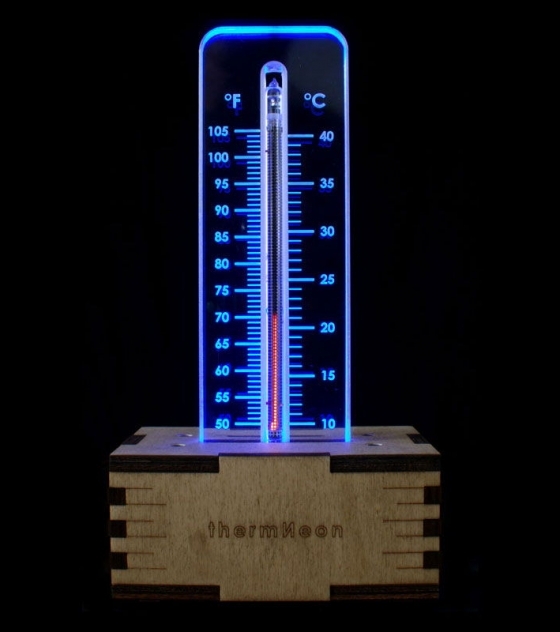 The thermNeon uses a novel and eye-catching display where a glowing neon bar indicates the temperature, resembling retro thermometers. 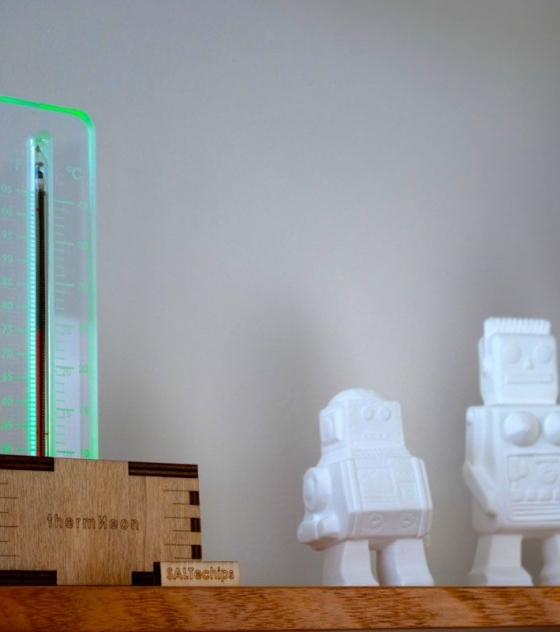 Additionally, the laser-engraved scale is illuminated depending on the measured temperature. Coming out of Saratov in ex Soviet Russia, the ИН-13 nixie tube has been out of production for over 20 years. It preceded the era of LCD displays, now being a piece of electronics’ history dating back to 1955. With passion and nostalgia, we fused the warm neon glow of the tube with modern digital technology. 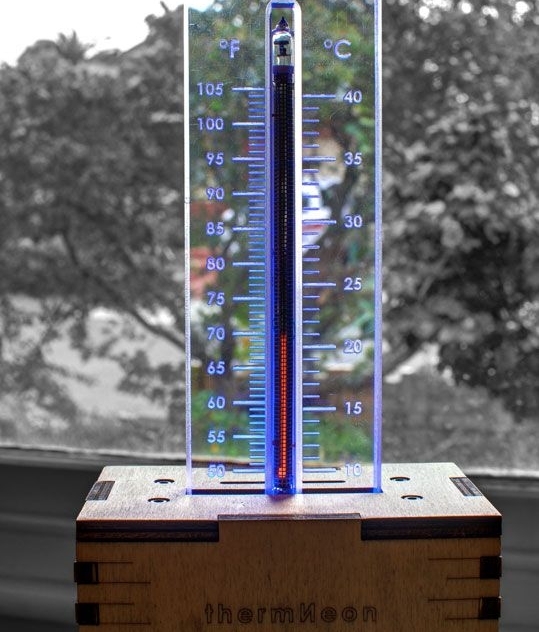 The result is a unique room thermometer…without the mercury. 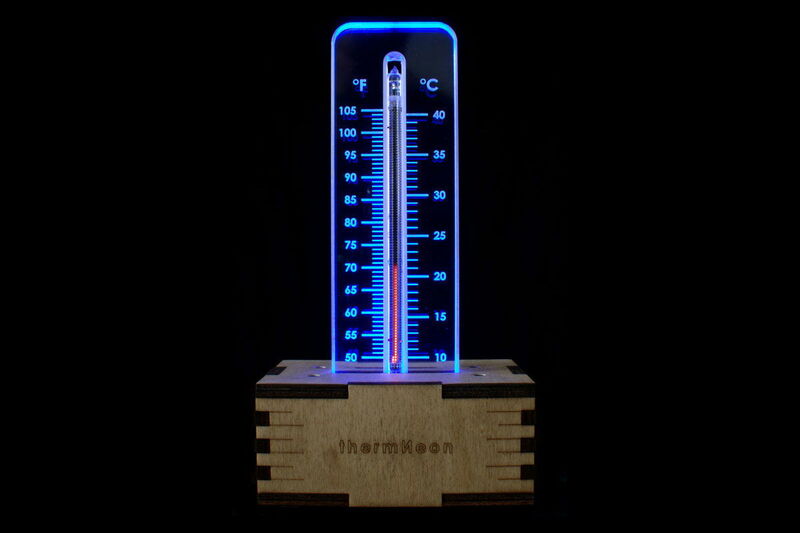 The thermNeon is served with its user manual (+ assembly manual if ordering a kit) , power adapter and USB cable. 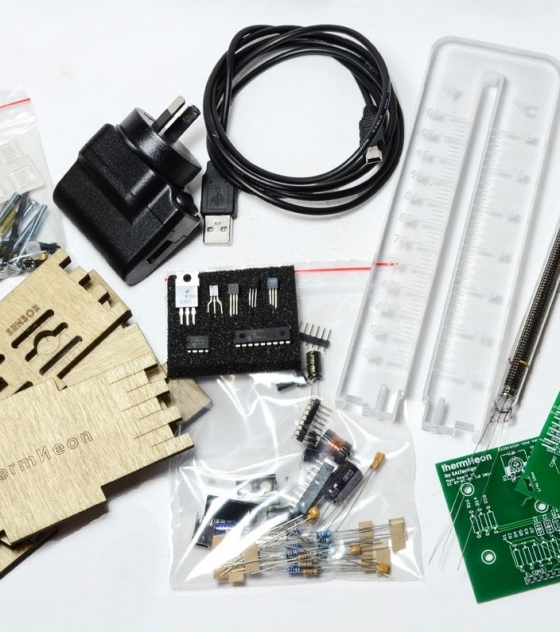 If you are ordering a kit, please note the components are through-hole, with a few surface mount. If you prefer boards with the surface-mount devices pre-soldered by us, please add a note in the “Order Notes” box during checkout or email us to let us know. You can also read the assembly manual before you receive your kit to become more familiar with the assembly process.